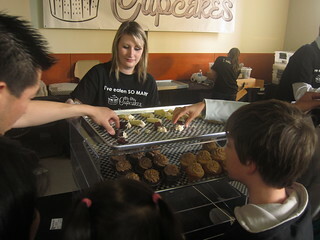 Follow Me Foodie's Vancouver's 1st Cupcake Challenge at the Roundhouse Community & Recreation Centre in Yaletown on June 20, 2010. 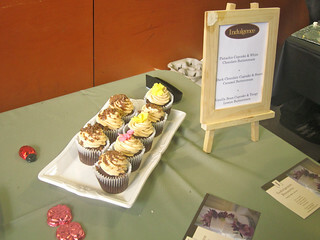 Vancouver 1st Cupcake Challenge, the brainchild of event organizer Nicole van Zanten and local foodie sensation Mijune Pak, was a fun and scrumptious event showcasing the likes of Big City Cupcakes, Cake Tease, Bon Gâteau, Cupcake Couture, Pink Sugar Cupcakery, Indulgence Desserts, Frosting Cupcakery, and Baker's Market Vancouver competing against each other for the title of Vancouver's best cupcake as local foodies sampled their delicious mini-baked concoctions. 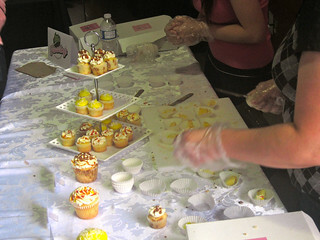 Evidently, over 1100 people came to sample cupcakes from around the Lower Mainland as the vendors were running out of sample cupcakes well before closing, making it a big success. 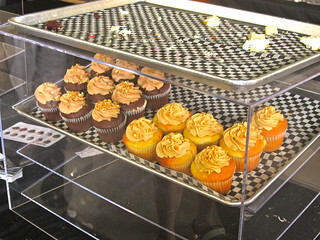 The room holding the event at the Roundhouse was a tad small, cramping things a little as the lines got long. 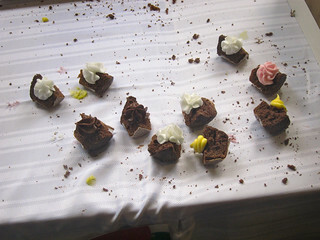 I would have liked a little more time and space to take better photos without getting in the way. 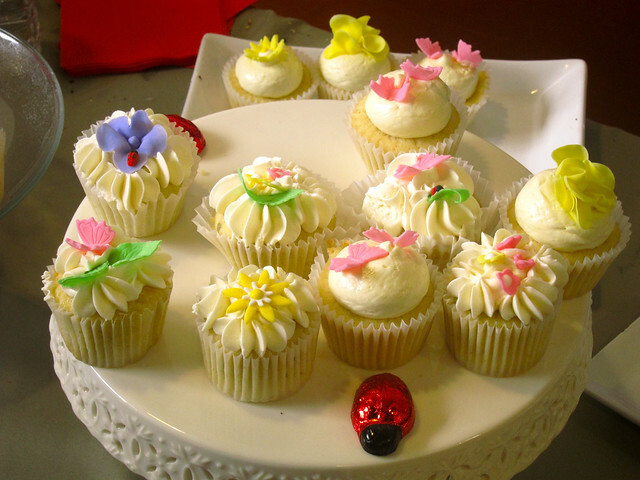 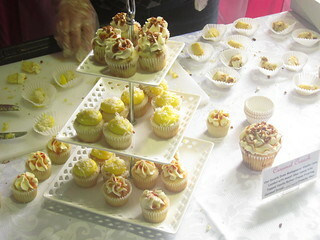 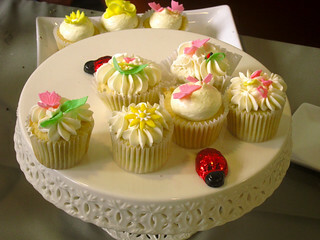 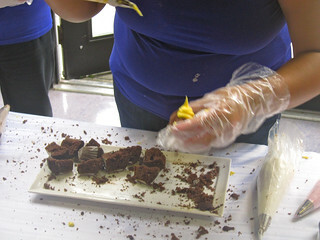 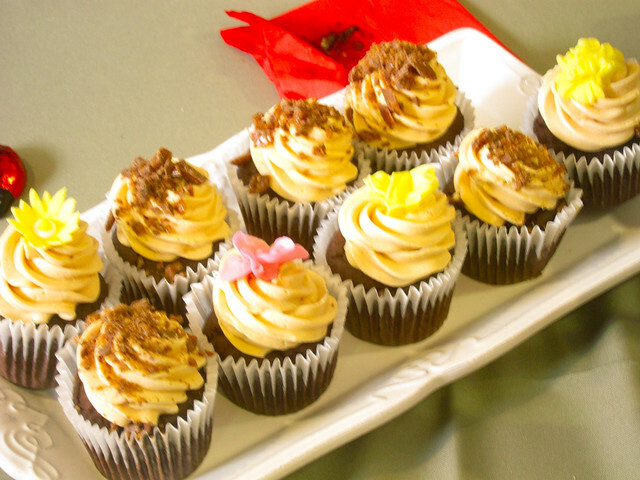 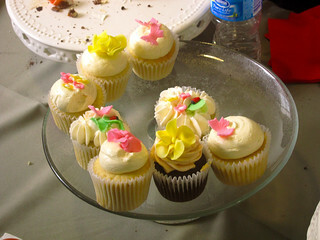 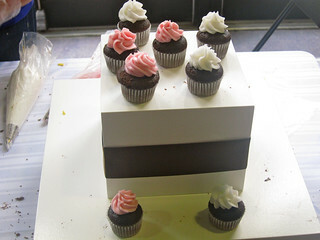 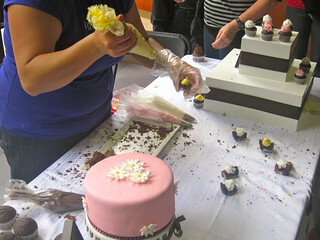 However, it was a solid, very well-organized showcase for local bakers and cupcake artists. 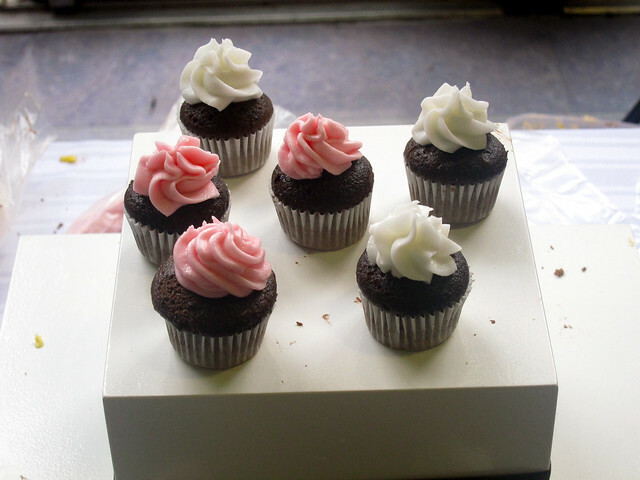 I did find it a little ironic eating mini-portions of cupcakes which are themselves essentially mini-portions of regular-sized cakes. 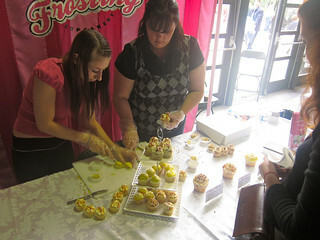 Frostings Cupcakery from Langley took home 2 of 3 awards: the judge's prize and the people's choice for best cupcake; Big City Cupcakes took home the food bloggers' choice award. 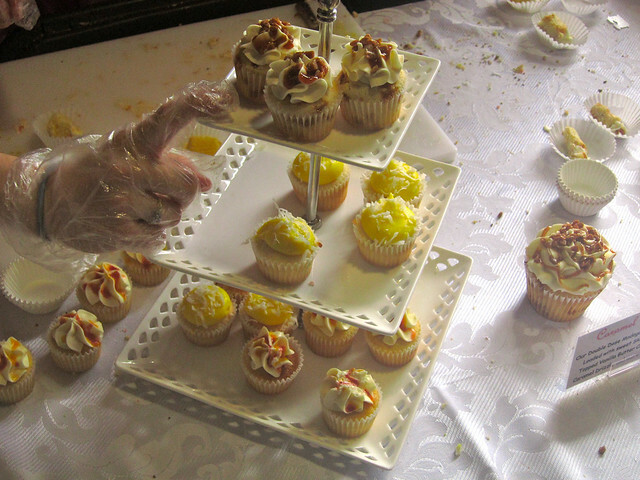 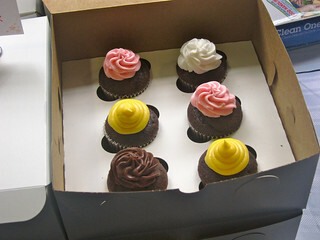 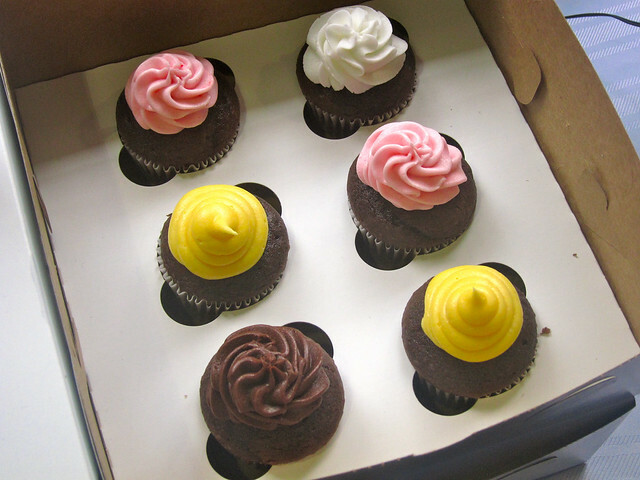 Update: New York blog, Cupcakes Take the Cake featured a few of my photos.